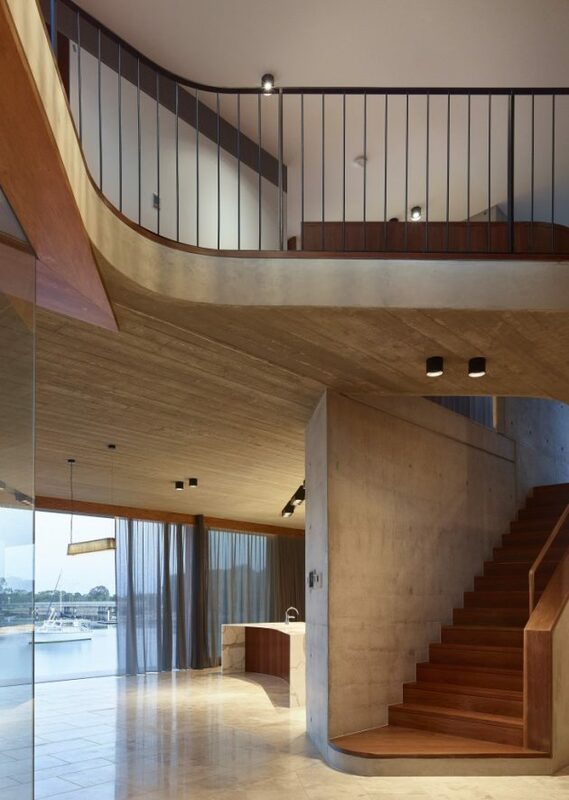 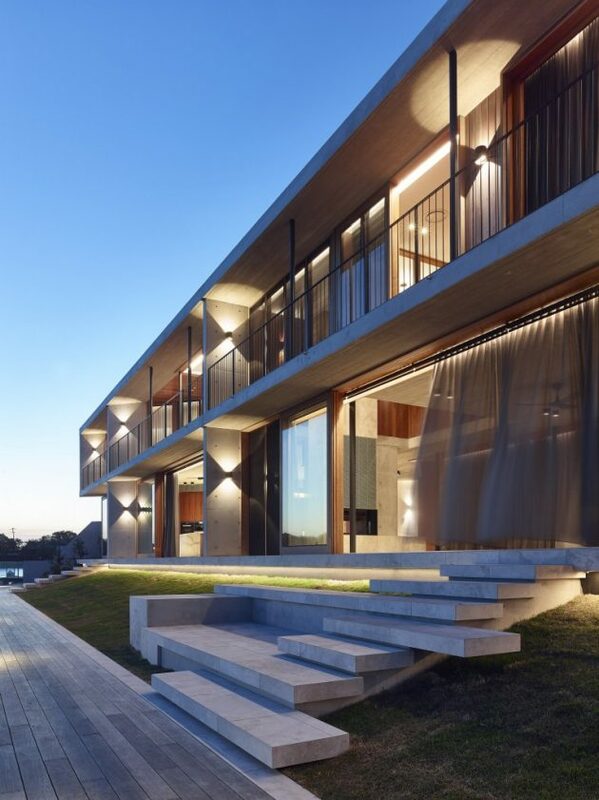 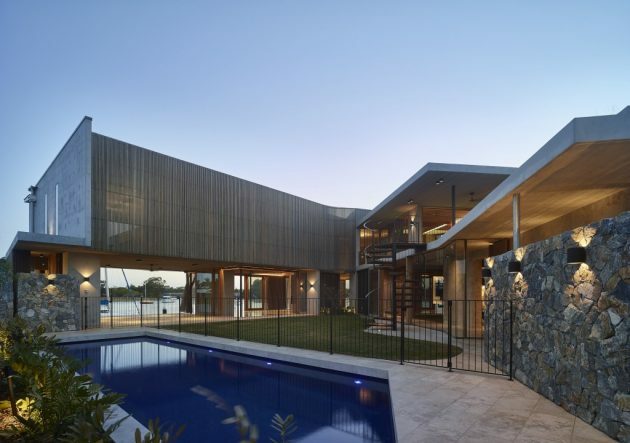 Shaun Lockyer Architects have designed the outstanding V House on the Sunshine Coast of Queensland, Australia. 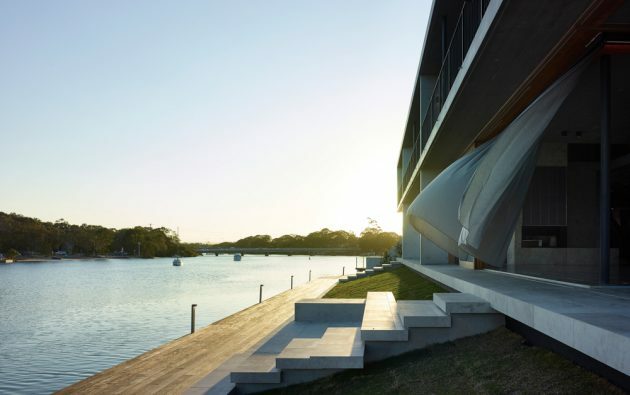 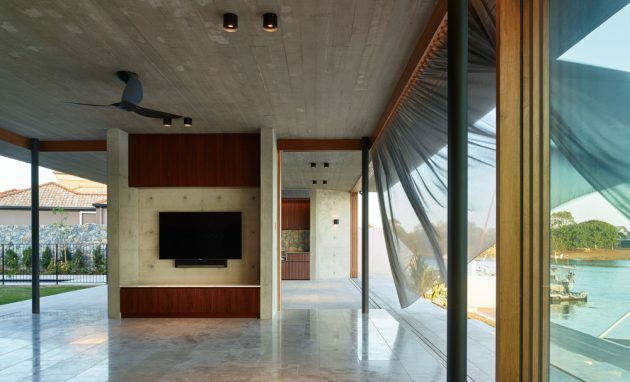 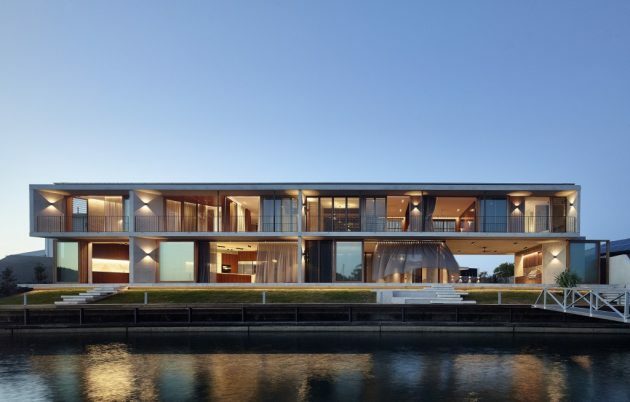 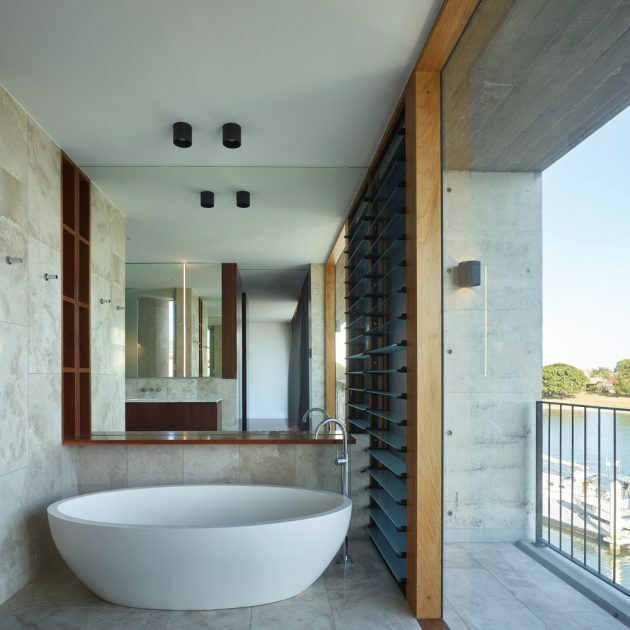 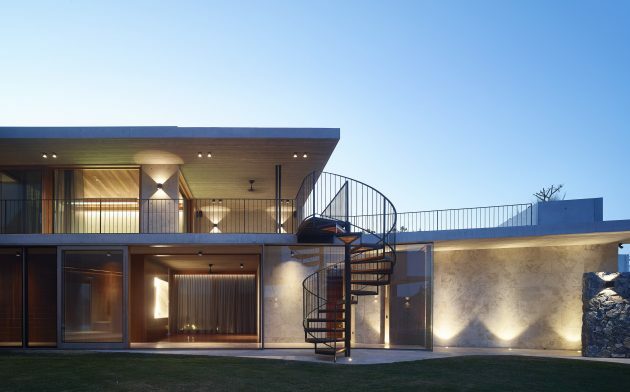 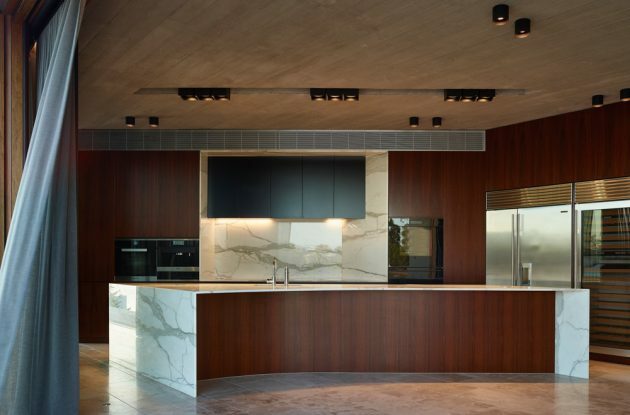 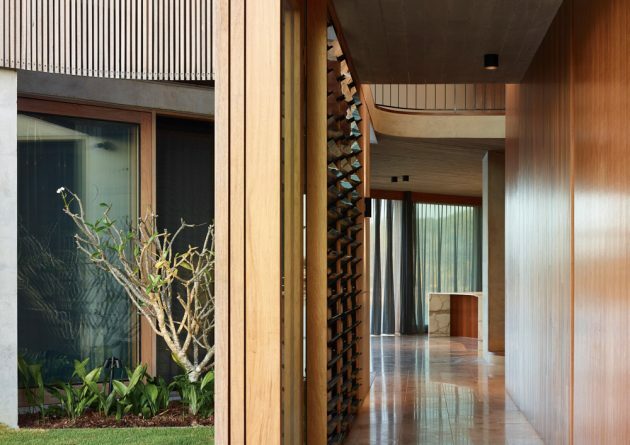 Its unrivaled located by the Mooloolah River is the basis of the design which tries to match its boundaries as closely as possible to the coast, connecting the residence to the river through a spectacular courtyard and a glazed pavilion. 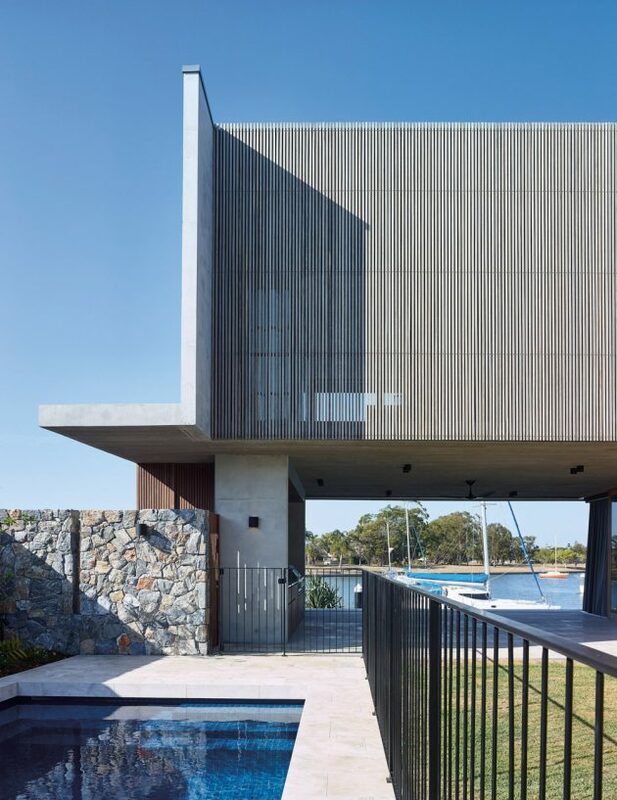 A private, landscaped, north-east courtyard forms the catalyst of the ‘V House’, which sits proudly on the edge of Sunshine Coast’s Mooloolah River. 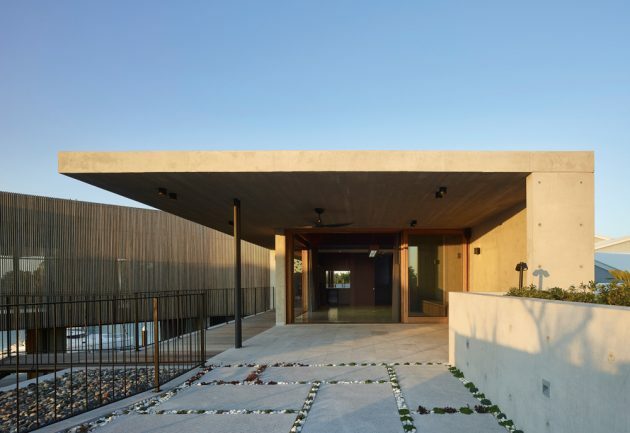 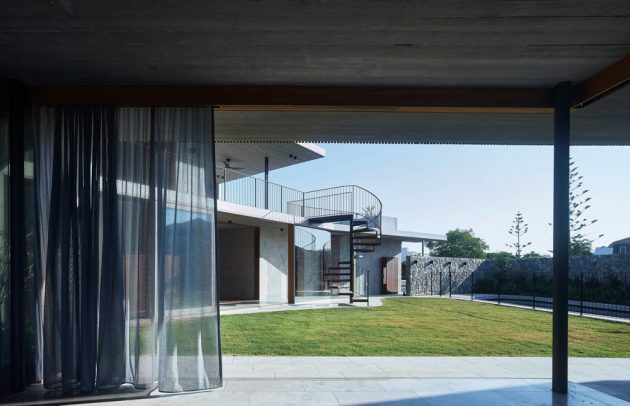 The ‘V’ refers to the floor plan which hugs the boundaries of the property allowing for a transparent living pavilion that physically and visually connects the courtyard to the water beyond. 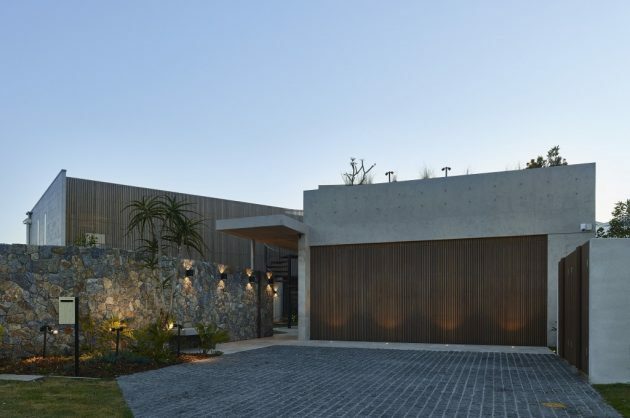 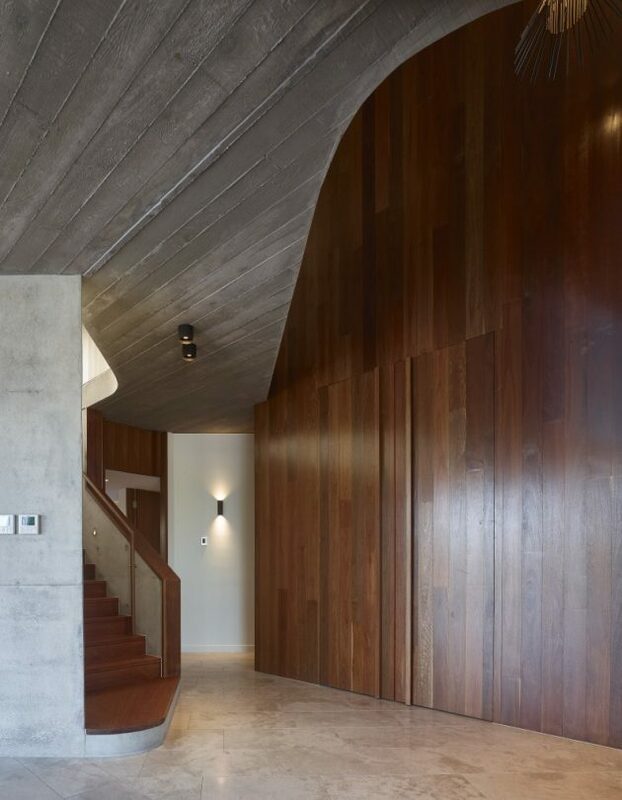 The architecture continues SLA’s dialogue of concrete, timber and stone, drawing heavily from both Modern and South-American, subtropical narratives.